According to the U.S Census Bureau, as of 2017, 13,537 people have left Hawaii for the mainland because of the dramatic changes to their living conditions. Our island home is slowly becoming a distant, unattainable dream. Each year that we wait, each time we settle for incompetency, we are losing precious hope in the future. 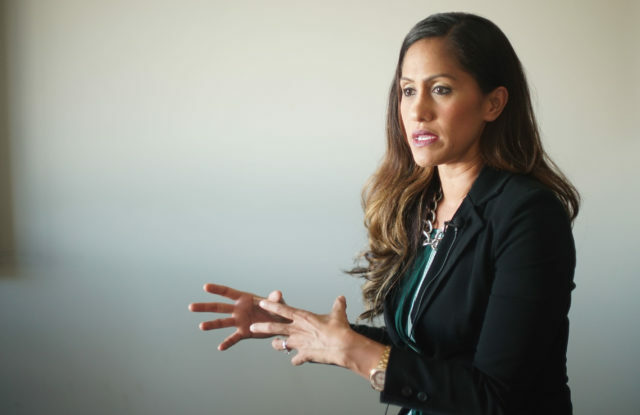 State Rep. Andria Tupola is determined to make vital changes to the living conditions of the local people in Hawaii by focusing on housing, education and employment. Homelessness is pervasive in Hawaii. We consistently have the top homelessness rate in the nation. The Ige administration has attempted a central, top-down strategy that has failed to address the needs of the homeless community. Tupola understands that homelessness is a different issue in every community — the needs of the homeless in Waianae are vastly different than the needs of those on Maui. By bringing in regional experts who know their areas better than any governor ever could, Tupola would address the specific needs of each community. It's not about them. It's about you and your family. "We need to continue to fight to preserve our freedoms, set an example for our children, and participate in determining their future. People always say that it will be impossible for me to run for office and be a mom. But I’ve found that involving my children has piqued their curiosity and increased their awareness of community issues." LIHUE — “That girl’s got strong mana,” said Auntie Brenda Ortiz, watching gubernatorial candidate Andria Tupola as she spoke to a charmed audience Thursday night in Lihue. It was 18 days before the election and there was standing room only at the Happiness Planting Center, where state Rep. Tupola held a two-hour town hall meeting to talk story with Kauai residents. "For one hour, we put the candidates for governor, Democrat Gov. David Ige, and Republican Andria Tupola, as well as lieutenant governor candidates, Democrat Josh Green and Republican Marissa Kerns, in the hot seat." Andria Tupola for Governor 2018 is a community member who considers herself a servant for the people. Of Sāmoan and Hawaiian descent, Andria is running for the highest office in the State of Hawaiʻi because she feels she has a unique approach to making positive change for the islands and its people. We sit down with Andria to capture the essence of Aloha through the crazy world of politics. State Rep. Andria Tupola, the Republican candidate for governor, talks with a supporter after a meet-and-greet session Friday at the University of Hawaii at Hilo. Tupola will meet with the Puna community at 5:30 p.m. today in the Pahoa High and Intermediate School cafeteria. The energetic Republican candidate for Hawaii governor won’t be abandoning the party or coming home crying anytime soon. Andria Tupola likes to jump off high places. Spitting Caves. Waimea Rock. Laie Point. It’s her idea of fun. That, and running. Music, too. But the two-term House lawmaker hasn’t had much leisure time since she decided to try supercharging her political career. Ka Leo talks story with gubernatorial candidate State House Rep. Andria Tupola. What alternate universe is this!? Maleko & Flash pretend to get serious with our first political guest ever! Andria Tupola, admittedly the first politician to reply to Flash's texts and emails gets the honor of breaking the boys into the world of politics. Why does a music teacher go into politics in the first place? Does she know her Twitter Password? Why Republican? Why now? What's her position on LGBTQ rights? Plus her thoughts on Brett Kavanaugh, social media in politics, medical marijuana, the gentrification of Oahu, our homeless problem, and what Tonga gets right. If everyone in the studio had a concealed carry gun, who would she be most afraid of? Plus Sway & Mo from Mokus show off their new signature drink menu. Ige where you stay?! ...It can be argued that Ige is not hiding, more like avoiding or ignoring or simply playing it safe. Playing it safe is usually a smart political strategy, especially if you’re the incumbent.... Ige would have much to lose in a series of debates with Tupola. Not the election — it’s hard to imagine a Republican wresting control of the state’s top office in this deeply blue state and in an era where the local party’s ranks in office has dwindled to almost nothing. Gubernatorial Candidates were invited to answer questions about key conservation issues at the 25th Annual Hawaiʻi Conservation Conference on July 26th, 2018. This forum was hosted by the Hawaiʻi Conservation Alliance Foundation and was moderated by Neil Hannahs. Candidates participating: Rep. Andria Tupola (R) John Carroll (R), Congresswoman Colleen Hanabusa (D) and Governor David Ige (D). For Hawaii’s Aug. 11 primary, Civil Beat asked candidates to answer some questions about where they stand on various issues and what their priorities will be if elected. 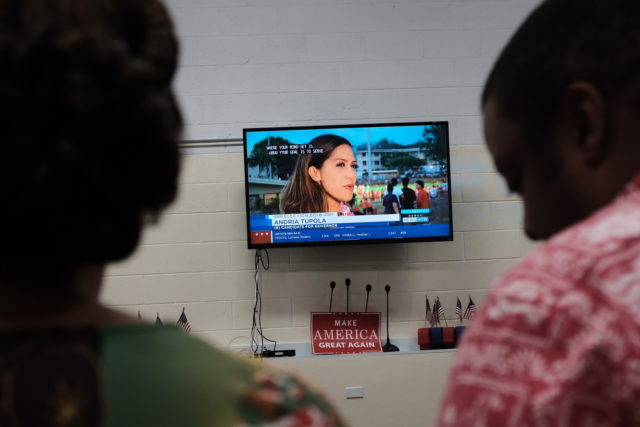 Chad Blair, Politics and Opinion Editor for Honolulu Civil Beat, interviews Republican frontrunner Andria Tupola. "The Department of Hawaiian Home Lands needs to be reformed to make Hawaiians thrive."